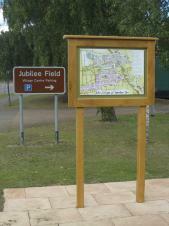 Jubilee Field was acquired by the Parish Council for the Queens Silver Jubilee in 1997, hence its name. 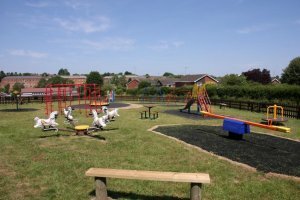 Subsequently, it has also been designated as a QEII Fields in Trust field as part of the Diamond Jubilee year to ensure the area remains as a recreational area. It provides an open space adjacent the River Nene to the south, bordered by the West Coast mainline to the east and Bridge Street. The field is used for recreation eg dog walkers, football, kids kick about and also provides a Youth Shelter and play equipment aligned to the teenage age group. 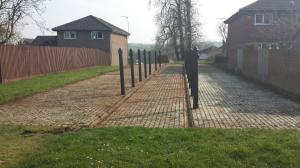 Croft Way field is situated to the rear of the Village Hall and is owned by Weedon Bec Trust and administered by Trustees. The Parish Council pay a rental for the use of this field for recreation. Croft Way playing field is adjacent to the school and is also used to host school sports days, on an annual basis. An enclosed children's play area provides a variety of equipment for the younger age group. The field is also used by dog walkers and provides benches that offer up some great views of the Depot. 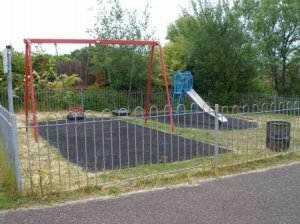 This is a small play area that was created to service the housing development at Cavalry Fields and is appropriate for younger children. 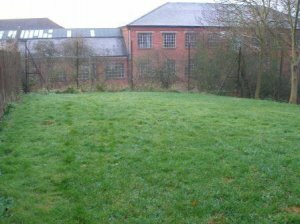 This small open space offers a good view across the depot and can be used by children in the area as a safe environment, being fenced on three sides. No play equipment or benches are provided in this space. This is a small pocket of open space hidden behind the houses on Harmans Way/Regency Close. Apart from a litter bin, there is no play equipment or benches installed here. One of the few remaining parts of the Depot site, outside the boundary walls. These tethering posts were used to tether the horses when the Equitation School was active at the depot. Preserved and maintained by the Parish Council. A recent work party cleared all the moss from the cobbles and repainted the posts to enhance this area. 'Stonehenge' is hidden from view in this shot, but is to the right (front) of the picture (photograph is taken from the rear of the site).